Harvard University Press, 9780674587625, 248pp. "For many serious readers," Robert Alter writes in his preface, "the novel still matters, and I have tried here to suggest some reasons why that should be so." In his wide-ranging discussion, Alter examines the imitation of reality in fiction to find out why mimesis has become problematic yet continues to engage us deeply as readers. Alter explores very different sorts of novels, from the self-conscious artifices of Sterne and Nabokov to what seem to be more realistic texts, such as those of Dickens, Flaubert, John Fowles, and the early Norman Mailer. Attention is also given to such individual critics as Edmund Wilson and Alfred Kazin and to current critical schools. 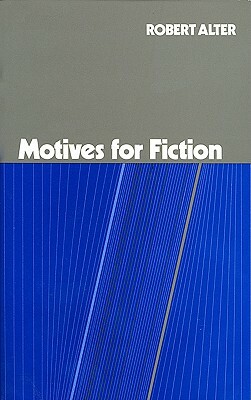 In Alter's essays, a particular book or movement or juxtaposition of writers provides the occasion for the exploration of a general intellectual issue. The scrutiny of well-chosen passages, the joining of images or themes or ideas, the associative and intuitive processes that lead to the right phrase and the right loop of syntax for the matter at hand-all these come together unexpectedly to illuminate both the text in question and the general issue.